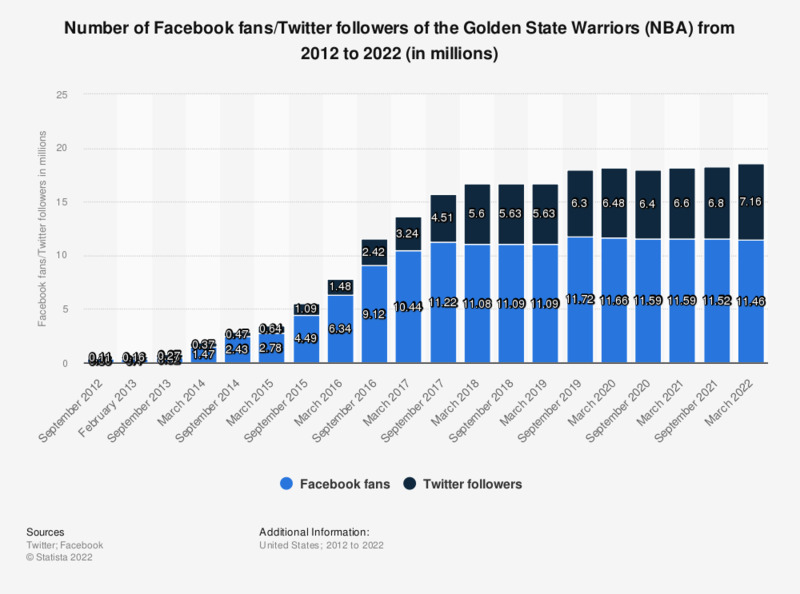 The statistic shows the number of Facebook fans/Twitter followers of the NBA franchise Golden State Warriors from September 2012 to March 2019. In March 2019, the Facebook page of the Golden State Warriors basketball team had around 11.09 million fans. Statistics on "Golden State Warriors"
Which of the following shipping service companies is an official sponsor of the NCAA?